This well-maintained two-story home has three bedrooms, two full baths, and one half bath. The home’s open kitchen is full of natural light and includes an extended island, stainless steel appliances, granite countertops, tall cabinets, and a built-in buffet in the dining room. The second story has three bedrooms. The master suite includes a tray ceiling, dual sinks, dual walk-in closets, and a jetted tub. The fenced side yard has a partially-covered patio. An oversized two-car garage is attached. This community has an aquatic center, fitness center, dog parks, and many recreational trails. 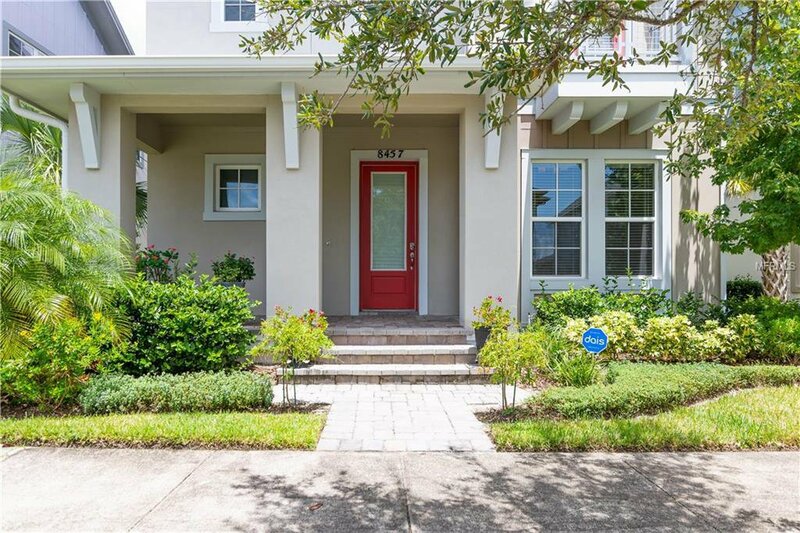 This home is near some of the best-rated schools in the area, close to several medical institutions, minutes to Orlando International Airport, and within driving distance to top attractions. Listing courtesy of BROKERS REAL ESTATE GROUP INC. Selling Office: CENTURY 21 CARIOTI.